2015 has been a remarkable year for the real estate market: buyers welcomed low mortgage rates; Gen Y continues to be the largest group of homebuyers, accounting for 32%; and median home prices grew at an annual rate of 6%, according to the National Association of Realtors. Many experts are anticipating additional positive growth in the real estate market for 2016, but prospective homeowners may want to take a leap into the market early on. 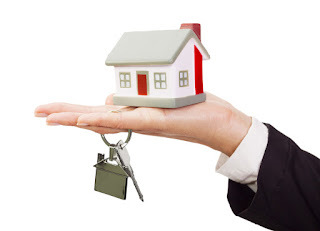 Here are four reasons why you should make your real estate move in early 2016! Home affordability has been at an all-time high because average home mortgage rates have hovered below 4% all year long. However, Freddie Mac, the government-owned holding company that sells and buys mortgage securities, issued their 2016 mortgage forecast predicting a rise. They are expecting to see the average rate steadily climb above 4%, with 30-year fixed mortgage rates near 5.2% by the end of 2016. The increase is stemming from the Federal Reserve's move to raise short-term interest rates because the economy is strengthening. This means that hopeful homeowners may want to jump on the home hunt now to secure a lower mortgage rate before they increase later in 2016. As mentioned above, 2015 saw an annual median home price growth rate of 6% and the chief economist at the National Association of Realtors is anticipating a slower and lower rate at 5% for the new year. This is good news to buyers in 2016 because median home prices will remain relatively affordable. On top of that, 39% of Gen Y buyers are looking to move out of rented spaces or their parents' homes, in favor of buying a home since the market is more affordable than ever. 84% of recent homebuyers said that heating and cooling costs are the most important environmental consideration, making new construction residences more desirable as they typically have the latest energy efficient features. In addition, the beginning of the year is typically less saturated with buyers and inventory, which means house hunters can take advantage of less competition and the influx of availability in new construction developments. Scoring an energy-efficient home early on in 2016 could be in the form of single-family homes, condos or new townhomes in NJ that have mass availability compared to previously-owned, older homes. According to the National Association of Realtors, homebuyers took an average of 10 weeks of searching for a home and toured a median of 10 homes before they made a purchase. Since home prices generally begin to increase in the spring, it's wise to make the decision before the prices go up. Additionally, buyers who used the internet were more likely to find more options on the market compared to buyers who did not use the internet, as they only searched for an average of 5 weeks and only toured a median of 5 homes. As we near the end of the 2015, keep the above factors in mind so you can get the best deal on a new home in 2016! Consider looking into pre-approved mortgages, finding a real estate agent and scouting out new townhomes, condos and houses in your desired location so you can be ready for the market next year. One best thing you can do is sell you house for cash. Here selling your own house in Arizona for cash are most popular when they have with fight with mortgage. You can also try that and save from mortgage. Go for home to cash. Everything becomes easier on the seller’s end when you can offer to pay for their house in cash. This can give you an edge if another buyer is interested in the property, or if you want to try to negotiate a better price. Sellers feel more comfortable with for-cash buyers because they do not have to worry about last-minute problems with loan funding, nor are there a lot of contingencies involved. For a seller who is anxious to close the deal, this is a very good thing.Here people buy homes for cash In Arizona & Colorado to save from mortgage. Its save and you can even repair you bad credits.